Warmer rooms with liquid screed. Underfloor heating is an increasingly popular method heating for both domestic and commercial spaces, freeing up wall space and providing a more even distribution of heat. 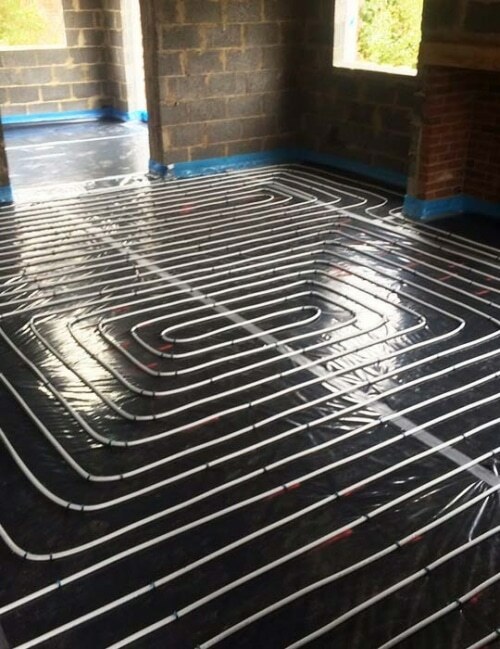 Whether you’re considering a warm water or electric heating solution, making informed choices about the screed you apply over the top could improve the performance of your system. So your space will be warmer and more energy efficient. When it comes to screed for underfloor heating, minimum screed depth, thermal expansion, conductivity and weight are all important considerations. All of this and much are can be expertly addressed through our comprehensive underfloor heating design processes, which are available to all of our domestic and commercial customers. For advice on screed for underfloor heating or to find out more about the heating systems we recommend, call our knowledgeable team on 0800 756 1394.